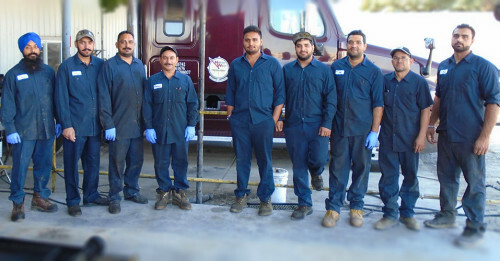 We offer on-site fleet maintenance programs to assist in keeping your fleet’s trucks & trailers in-service at all times. Our technicians back at the shop perform all types of repairs from Med to Heavy Duty Trucks, Semi Truck, Diesel Engine Repair, and Fleet Maintenance. We have a preventative maintenance service shop for all your tire repairs or replacements. Our shop offers all sizes and types, new and used. We also have 24 hour emergency roadside tire repair and fleet maintenance available. We know it’s expensive for you to have a truck down with tire problems. Every hour lost is money lost. We’re here to help you make the most money possible, whether you’re a single owner/operator or you manage an entire fleet. We do that by providing reliable products and services when you need them. So when you’re looking for truck tires, mechanical repairs, or mobile tire service, count on Northwest Truck and Trailer Repair to take care of all your needs. Customer satisfaction is our number one priority, every-time, all the time!